59% of respondents say they would choose a primary doctor who offers a patient mobile app over one that does not (Millennials are even higher at 70%). The majority of both Millennials and Gen X respondents would choose a primary care physician who offers virtual care treatment over one who does not. 79% of cases where callers felt that they should go to E.R. or that their only option was an E.R. were able to be diverted to a lower cost, more convenient option. 5% were escalated to a higher level of care. 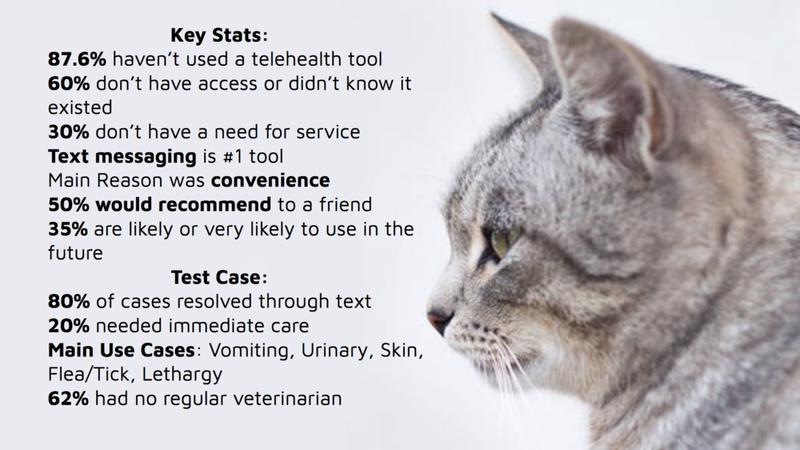 53% of pets who's owners thought they could watch or treat at home needed a higher level of intervention. 49% of pet parents who would have "done more research" (Google, etc. ), actually needed to seek care.